The coolest minivan on the block Class B camper vans are a popular sector of the RV market, with new conversions and options popping up each week. But one of the most interesting developments in the past 2 years has been the proliferation of the small camper van. Love campers and trailers" Come join our community group. Agile, affordable, and able to camp under-the-radar, small camper vans offer a lot for one or two people on a budget. The latest version to cross our desk is Colorado-based Oasis Campervans. Unlike other small camper van companies that use Nissan or Mercedes vans, Oasis Campervans converts Toyota Sienna minivans into mobile homes-on-the-go. 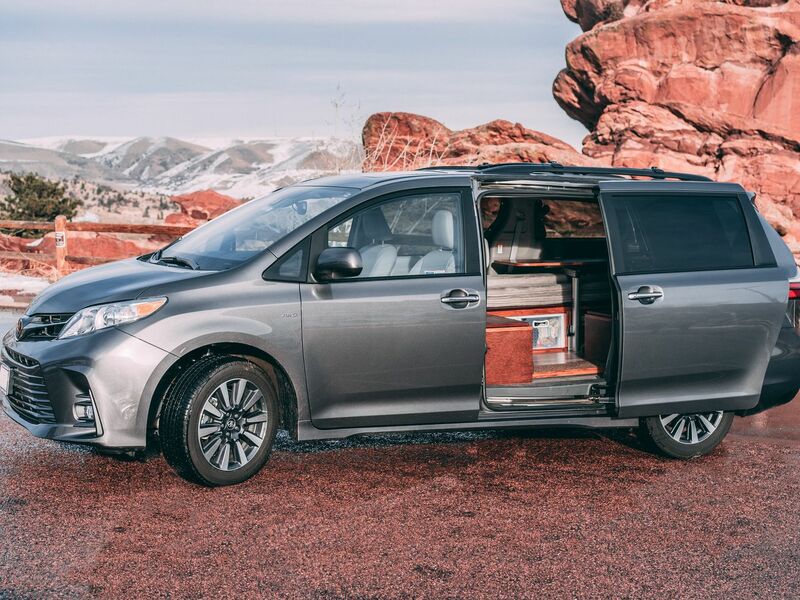 This is especially notable because although there are rumors that Mercedes is planning on coming out with an AWD Metris in the future, the Toyota Sienna is currently one of the few minivans offered in AWD. Although each van will vary according to customer needs, Oasis Campervan conversions include a main living room with pull-out drawers, a finished floor, and a moveable table for working. One of the most innovative parts of the design is a foldable chair that transforms into part of the bed with a helpful back rest, and when in the sleeping position the full-size mattress can hold one or two people comfortably. One of our favorite features of the van is the chair and table workspace.